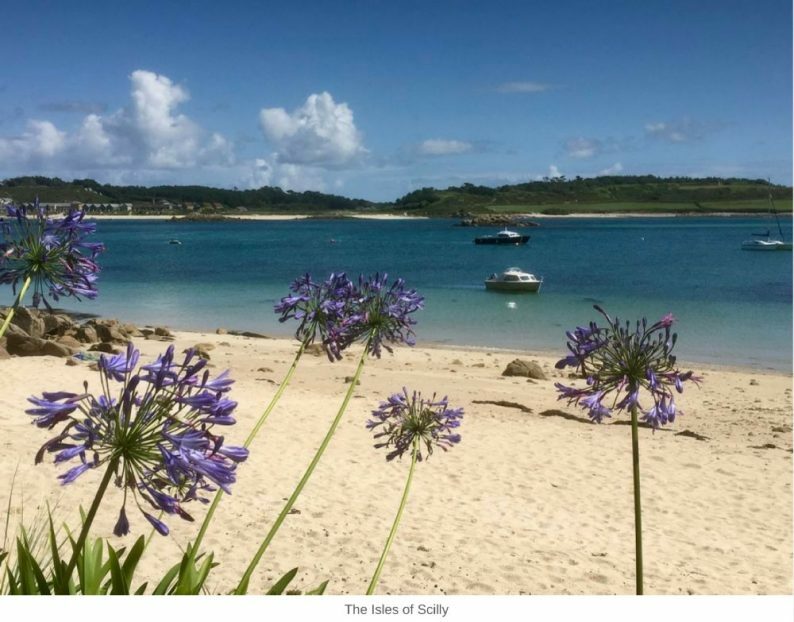 Welcome to the enthralling Isles of Scilly, playground of artists, walkers, sailors, birdwatchers, divers and photographers. 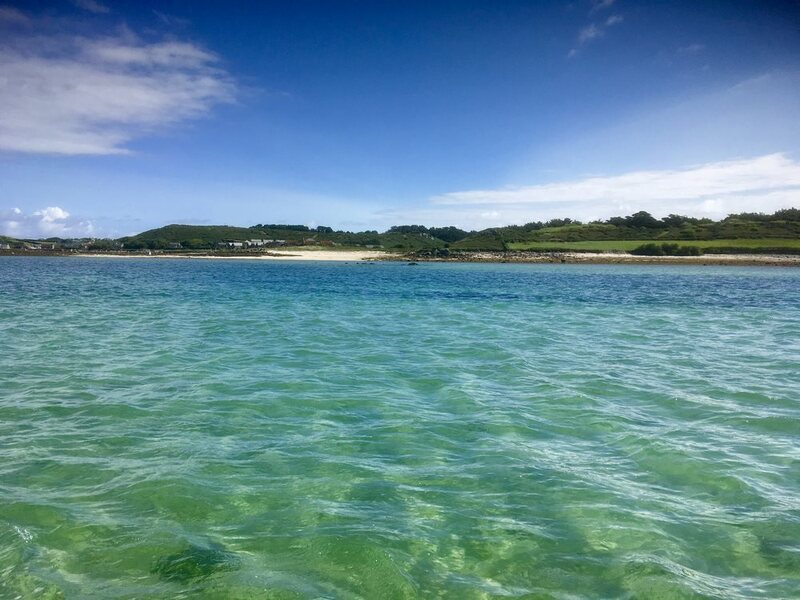 This delightful archipelago comprises some 140 islands (most of them islets) poking out towards the Atlantic Ocean from the Celtic Sea some 30 miles off Land’s End. Five of the islands are inhabited. St Mary’s is the largest and in its main centre of population, Hugh Town, I browsed the stained glass in the church of St Mary The Virgin. 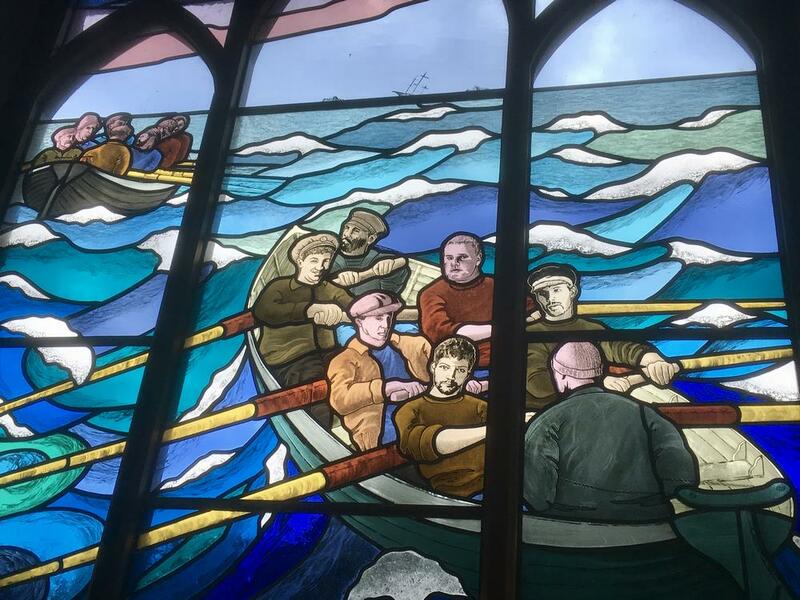 Amongst the many delightful windows I found a beautiful and endearing tribute to the work of the Royal National Lifeboat Institution (RNLI) and an exquisitely colourful example honouring St Peter, the Galilean fisherman of the New Testament. Unsurprisingly, tales of the sea feature prominently in the Isles of Scilly Museum (also in Hugh Town). A pilot gig from 1877 is the central object on display, surrounded by ship models, eclectic archaeology, stuffed birds and wild flower specimens. A catalogue of shipwrecks is recorded – the Association in 1707, the Colossus in 1798, the Schiller in 1875, the Minnehaha in 1910 and the Torrey Canyon in 1967 (to name a few). Some 700 vessels are known to have foundered on the islands over the centuries. 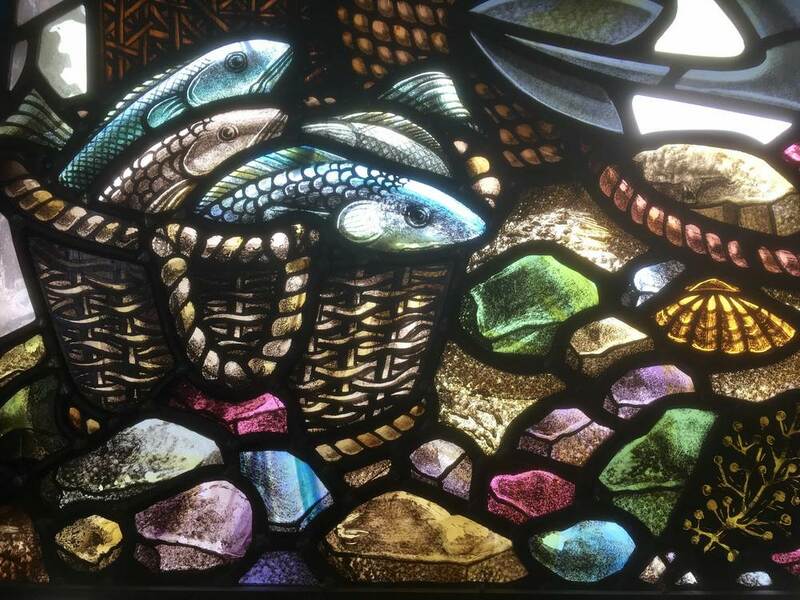 It’s fascinating to learn how objects recovered from shipwrecks found their way into the ordinary homes of the islanders, adding thousands of items from across the world to their material culture. But the museum is about more than shipwrecks. The impetus for founding the museum back in 1967 came after the discovery of 300 Roman brooches and other items on the tiny uninhabited island of Nornour in 1962. 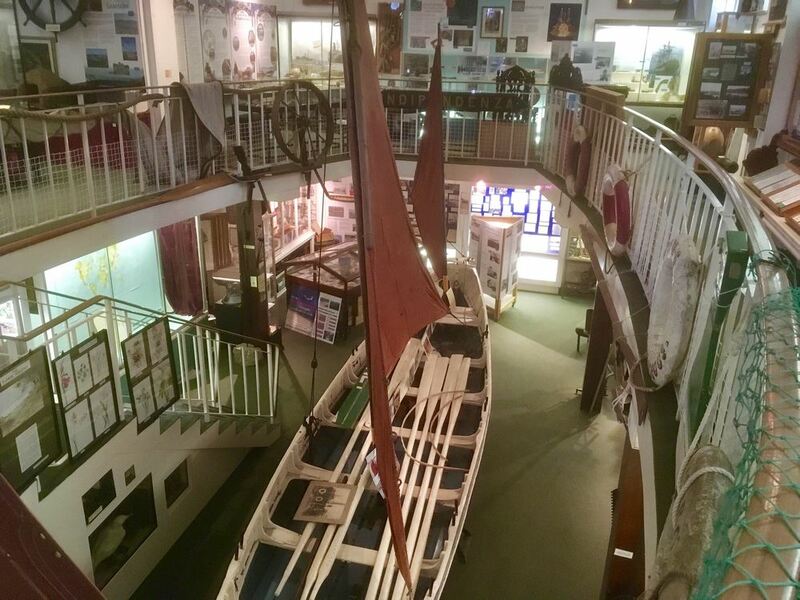 The museum, one of the most-isolated in the British Isles, is celebrating its 50th anniversary this year and is at a stage where it merits more investment. 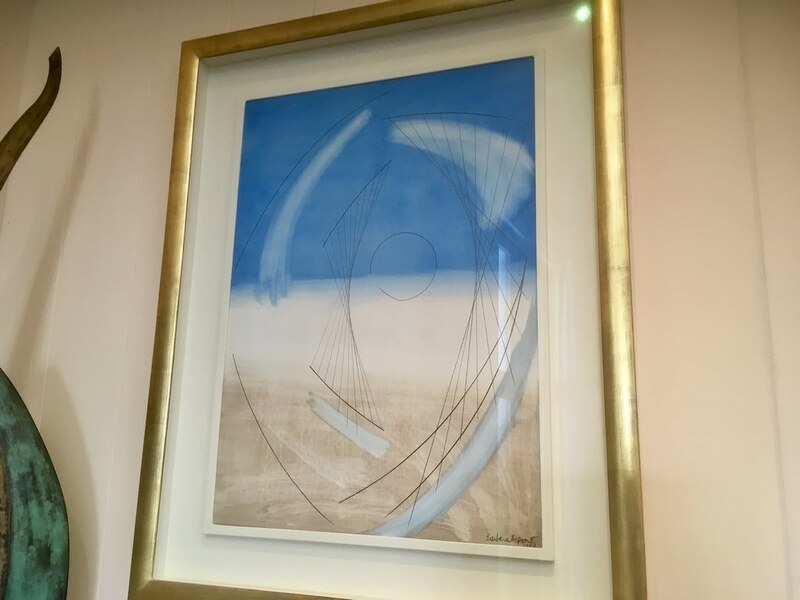 If you are reading this and are minded at all to help support its important and unique work then I’m sure the curator Amanda Martin and the dedicated volunteers who make its operation possible would be delighted to hear from you. 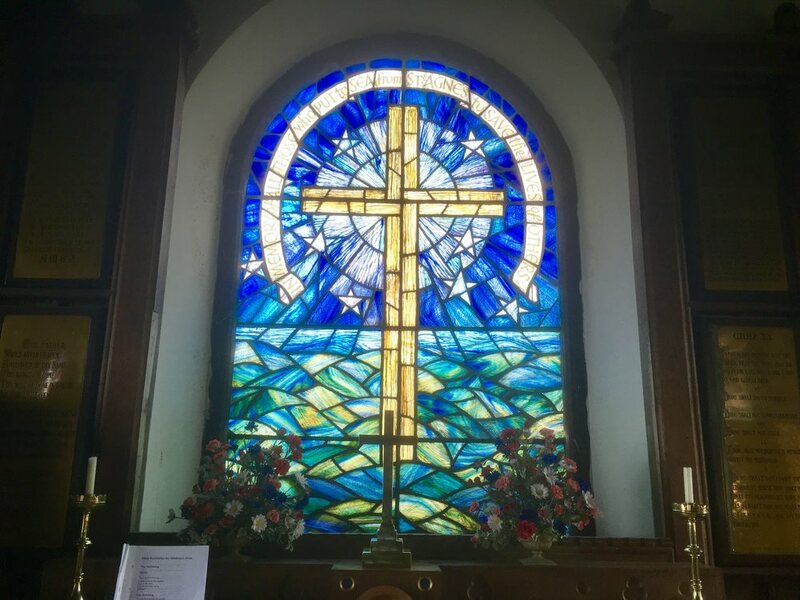 Sailing on from St Mary’s to the island of St Agnes and the theme of shipwreck and rescue is picked up in the shore-side church at Pergelis. The churchyard here is the resting place of many unfortunate sailors. Standing among the tombstones you can look out into the Atlantic, beyond the granite tower that marks Bishop Rock. 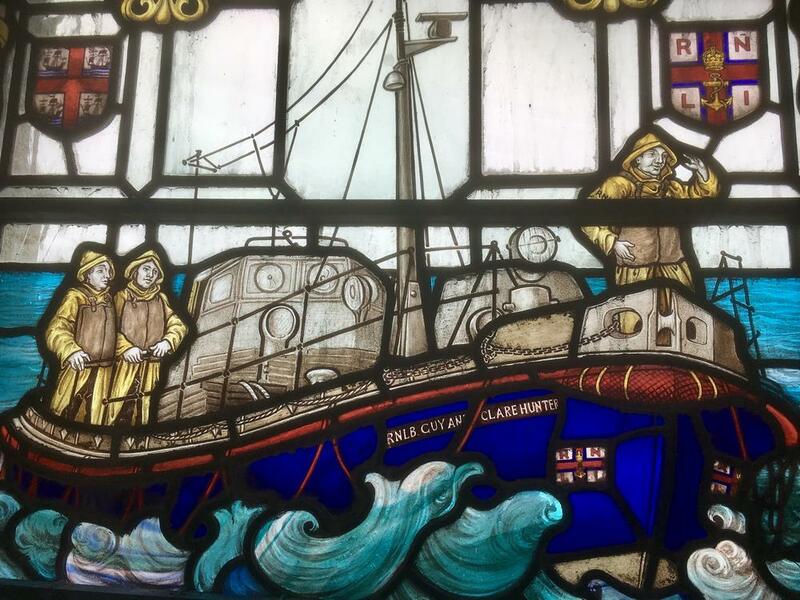 Inside, the east window honours those from St Agnes who put to sea to save others. 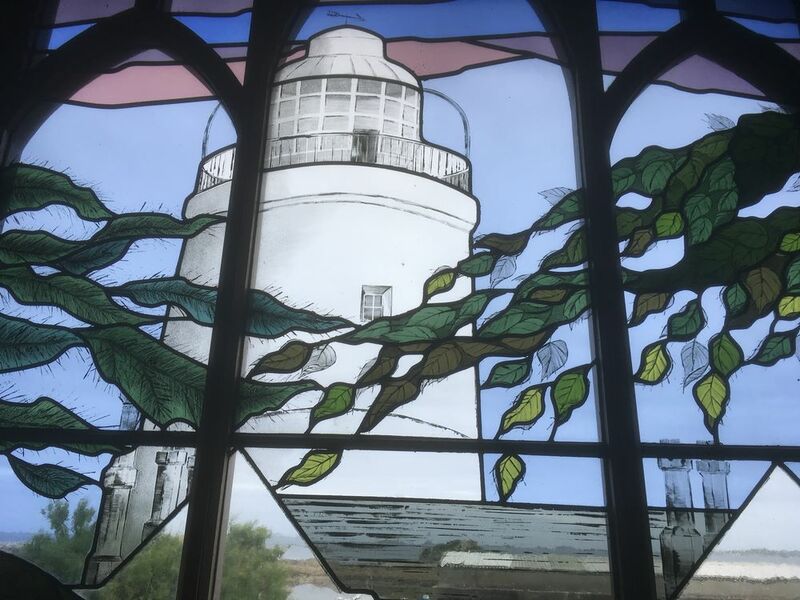 This window was designed by Marigold Hicks and made by Moira Forsyth. 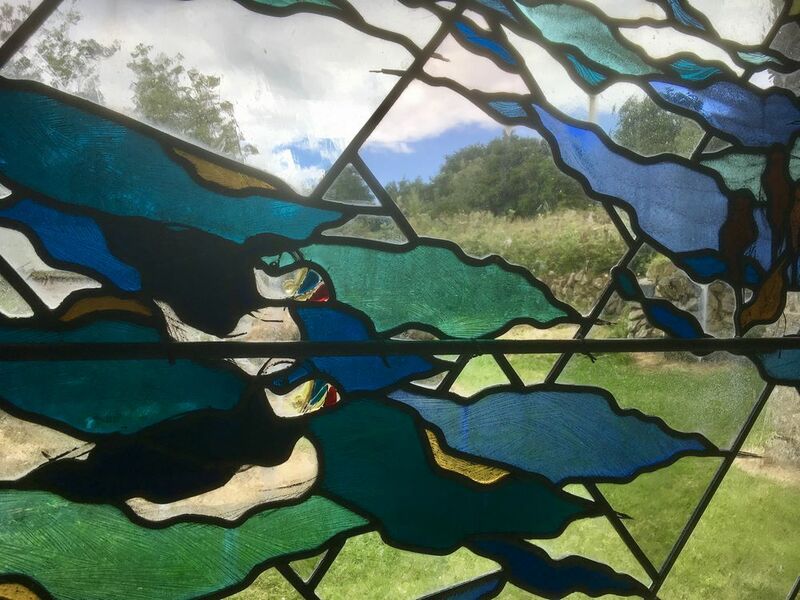 There are also two windows by Oriel Hicks, who lives and works on the Isles of Scilly. One depicts two rowing boats manned by rescuers, struggling in heavy seas towards a doomed ship. The other is of the lighthouse on St Agnes. 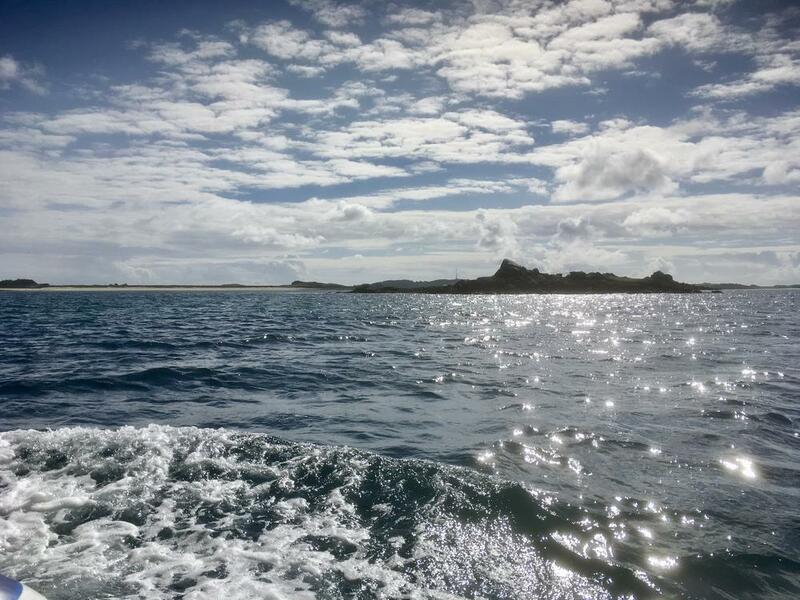 To sea again and on to the delicious island of Bryher. Landing at Church Quay, I was soon in All Saints. 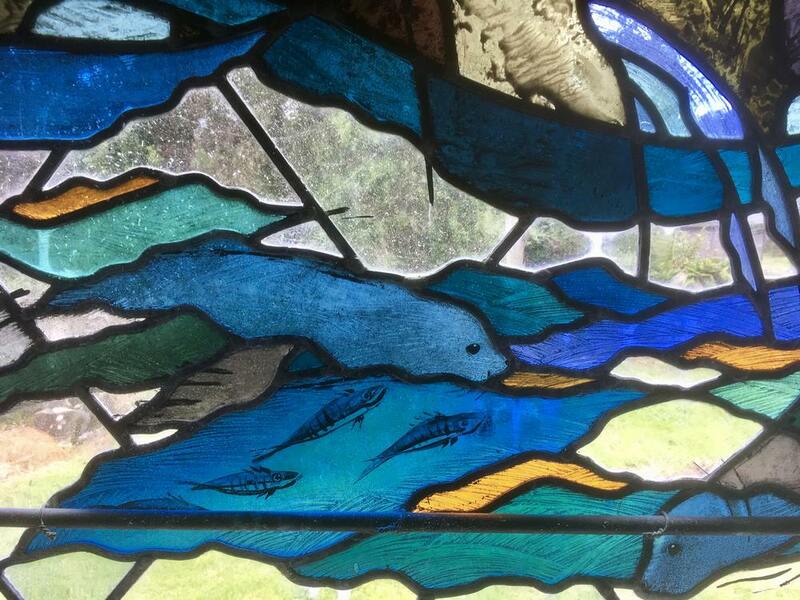 The windows here, again by Oriel Hicks, are a joyful treat, featuring puffins, seals and fish. 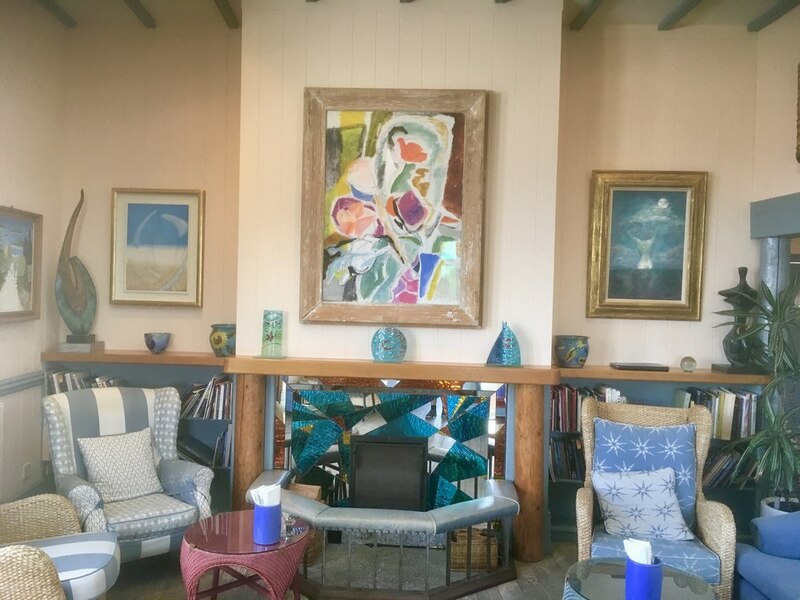 On the far side of Bryher, depending on the weather, you can find shelter from the sun, wind or rain in the exquisite surroundings of the Hell Bay Hotel where you can take refreshment amidst a delightful collection of Modern British art featuring lovely works by Patrick Heron, Barbara Hepworth, Roger Hilton, Ivon Hitchens, Sir Matthew Smith, and Julian Trevelyan. It’s nice also to see a couple of strong works by the enjoyable John Miller of Sancreed holding their own in such company. 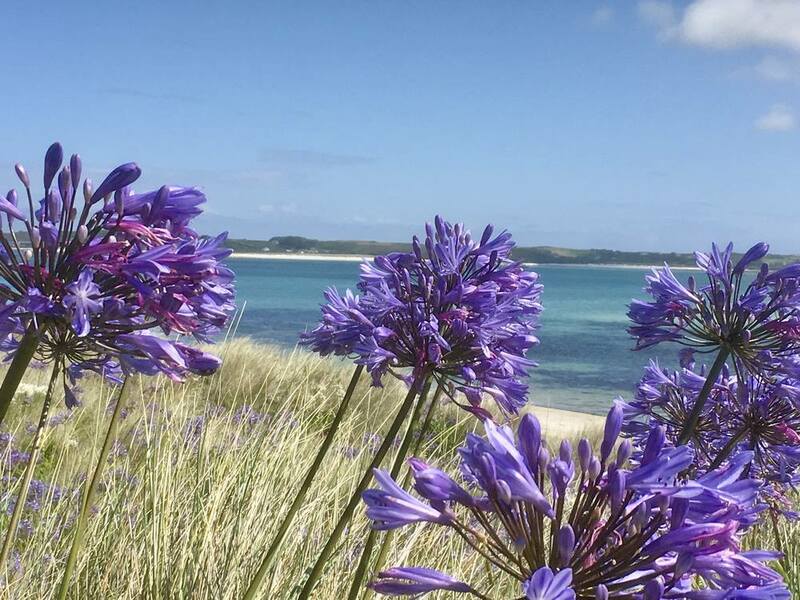 John died in 2002 and his sense of Cornwall’s land and seascape and his work on Tresco remain a heart-warming legacy. 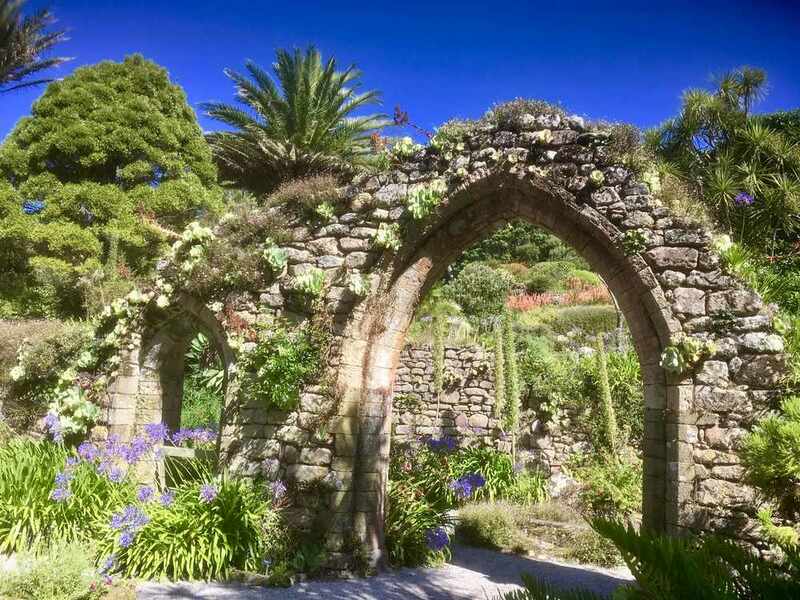 Just a short crossing from Bryher, the Abbey Gardens on Tresco are another treat. 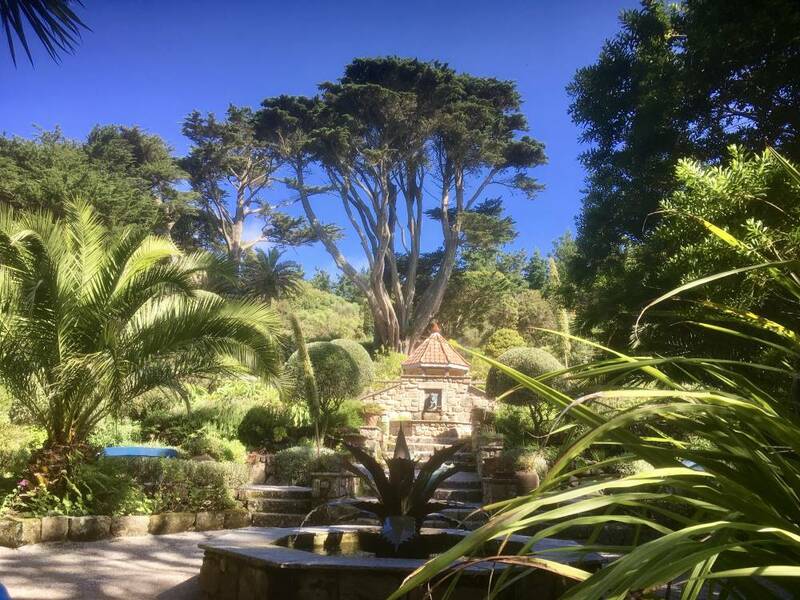 The 17 acres of gardens here have proved inspirational to artists and there are pleasing vistas at every turn. The tiny Valhalla Museum right at the entrance displays figureheads and carvings from wrecked sailing ships. These islands are a treasure, unspoiled by many of the trappings of modern life. You can fly to St Mary’s from Exeter, Newquay or Land’s End – or board the passenger vessel Scillonian III at Penzance harbour. However you travel, the end result is worth every mile of the journey.